Welcome to Rockabilly Mama by Cupcakes and Chopsticks. We believe that all those rock and roll mamas and papas shouldn't have to compromise on unique style when out and about with their rock and rolling babies! This exclusive range is great for parents and babies on the go and are the ideal gifts for new mamas and dadas! This baby grow comes in size 0-3, 3-6 and 6-12 months. 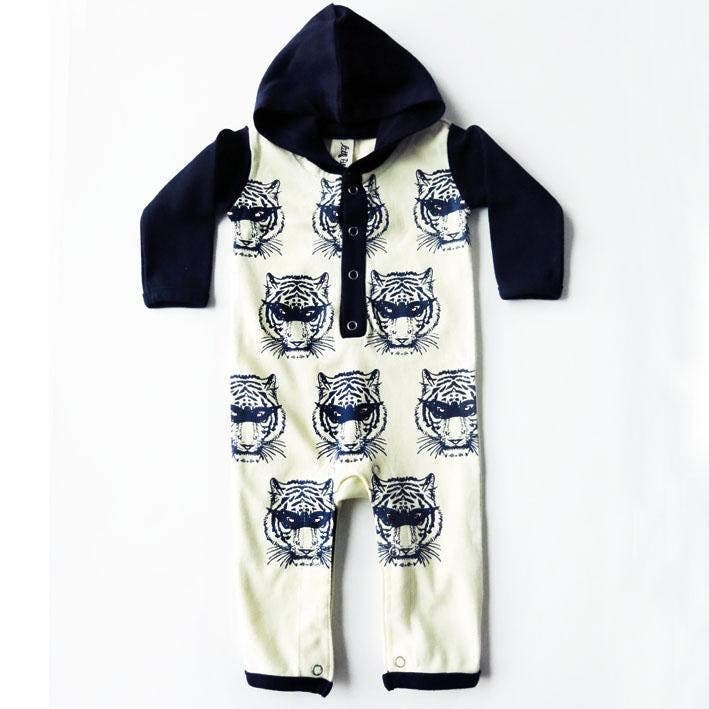 It is made from soft cotton that keeps baby warm and comfy and uses silk screen hand printing with water based ink so it is completely safe for little ones. It fastens with snaps for easy nappy changes.